Hot flashes are a well-known menopause symptom, but can women also be overwhelmed with chilly waves at this time of life? You bet. What can you do about these "cold flashes"? You knew about hot flashes well before the perimenopause hit, but are now experiencing something quite different — something more like "cold flashes"? Don't worry, as you're not alone. 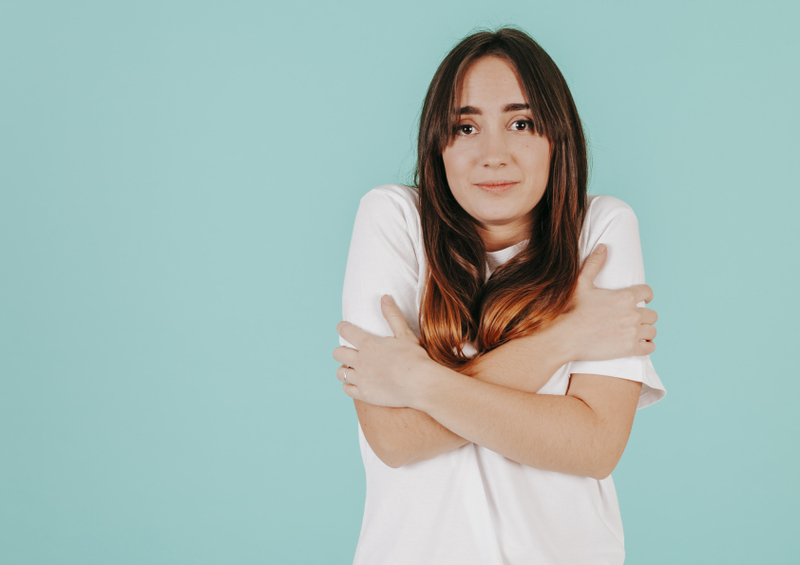 Though these cold flashes are much more rarely talked about than their hot counterparts, they're part of the crazy hormonal dance — which messes with the way in which your body regulates your temperature — for some women as well. In short, you bet that going through the menopause can make you feel cold. What? A cold flash? What's that? Just like a hot flash, these chills suddenly send an unexpected wave of sweat your way, except it's cold rather than hot. If this happens to you, it's not uncommon to actually start shivering. This is probably because your brain — more concretely the hypothalamus, which plays an important role in managing your internal body temperature — thinks it's overheating, and is busy trying to cool you down. It's all part of the gradual decline of your estrogen levels, a process that in turn throws your whole body chemistry off balance. Interestingly enough, cold flashes are also talked about in the context of people who suffer from anxiety. In this case, the thought is that the cold flash is part of the body's automatic threat-response system, which prepares you to flee or fight; responses during which you will need to physically exert yourself rather a bit. Is there anything you can do to combat hot flashes during the perimenopause? It will take some experimenting, but there are some steps that may help rid you of this uncomfortable and disruptive premenopausal symptom. These include dietary changes, medications, and lifestyle adaptations — particularly stress relief. These tips rely on the premise that cold flashes are essentially triggered by the very same mechanism that causes hot flashes; anything that helps other women counter those may help you deal with your cold flashes too. Dietary changes: Essential in the fight against hot flashes? Dietary changes fall into two categories — things you could try not to eat to avoid cold flashes, and things you might attempt to consume more of to send those chills packing. Try avoiding these things to see if that helps. To fight both hot and cold flashes, women who are going through the menopause often decide to try to include phytoestrogens, like isoflavones, into meals. These plant estrogens may act like a mini hormone replacement therapy, thus offering you relief from cold flashes and other menopause symptoms that are bothering you. Red clover and black cohosh — traditional herbal remedies — also contain plenty of plant estrogens, but ask your doctor about them before giving them a try, particularly if you are also using any kind of medication. Estrogen replacement therapy is pretty effective at offering relief from all kinds of menopause-related symptoms, and it will also help your body regulate its internal temperature better, thus hopefully at least reducing cold flashes. Women should know, mind you, that research found that certain kinds of combined progestogen/estrogen therapy increase their risk of heart attack, stroke, breast cancer, gallbladder disease, and even urinary incontinence. Women who choose hormone replacement therapy should use it for the shortest possible time. Keep in mind that herbal remedies and alternative treatments aren't subject to the same rigorous testing process pharmacological treatments have to go through in order to be approved — but they can still come with serious adverse effects or interact with other medications you are taking. For this reason, it's always best to consult your doctor before taking the plunge. Can lifestyle changes help you find relief from premenopausal cold flashes or chills? We've already looked at dietary changes, which certainly fall under the category of lifestyle adjustments — many women find that taking a good, hard, look at their triggers (a food journal helps) and then avoiding them leads to good things. Regular exercise helps you strengthen your bones, promotes heart health, fights weight gain, and keeps you fit. Some women also say working out reduces their menopause symptoms. Because it improves circulation, exercise can also help you find relief from cold flashes. Stress relief is very important — stress may even play a role in causing your cold flashes. Exercise, meditation, general fun things, and even therapy are all things some women do to help them relax and find inner peace. If you know you're prone to cold flashes, come prepared — take an extra sweater or cardigan along for the ride, and keep nice wooly socks near your bed in case you need them.